What to do on a bank holiday Monday? What will the weather be like? Will it be sunny? Or will it be traditional British bank holiday weather? Will we be able to go out and have a really enjoyable day, or be consigned to staying in and watching TV? People have always looked forward with anticipation to bank holiday celebrations. And people at the time of Jesus were no different – except they didn’t call them bank holidays, of course. But their celebration of Passover – itself a very serious religious occasion when the people recalled and re-enacted their rescue by God from Egypt – was also a time of celebration. People flocked to the big city, to Jerusalem, and there was a massive party atmosphere as the crowds gathered to get ready for the great feast. Well – on that day so long ago when people were getting ready for the annual Passover, that day we now call Palm Sunday, the people were unexpectedly presented with a choice of things to do. They were presented with a choice of triumphal processions to go and watch. On the one hand they could go and watch the triumphal entry of the Roman governor into the city. At this time the governor was, as we all know, Pontius Pilate. Now the Roman governors didn’t live in Jerusalem. But come Passover and they would come to the city for the feast. They didn’t come because they felt any desire to join in the celebrations. They came to make sure there was no trouble. Passover was a time when the Jews would celebrate their deliverance from an oppressive foreign power – and the Romans most certainly wanted to make sure that the people got no such ideas about the Romans. And so Pilate would have come to Jerusalem and to make sure the people got the message he would have come with as ostentatious display of Roman power and superiority as possible. His procession would have entered Jerusalem from the west, a column of imperial cavalry and soldiers. A massive display of imperial power, with golden imperial eagles mounted on poles, sun glinting on armour and weapons. A lavish and impressive reminder of who was in charge. And in the procession Pilate, the Roman governor, coming in the name of the emperor who expected his subjects to worship him as God. And then from the other side of the city, in this particular year, came a second procession. Coming down from the Mount of Olives came another man, riding into Jerusalem like Pilate, but not on a horse accompanied by heavily armoured soldiers and cavalry. This, of course, was Jesus. And we often refer to this event as the triumphal entry of Jesus into Jerusalem, coming to be heralded by the people as King and Messiah. Two triumphal entries into the city. So – a choice – which procession to go and see? Which triumphal entry to go and join and cheer and get caught up in? Except the triumphal entry of Jesus was, in fact, never intended by Jesus to be anything of the sort, certainly not a triumphal entry of the sort made by Pilate and his soldiers. Jesus rides in without any grand ceremony – he rides in on a donkey, just one of the people. And the manner of his entry is really anti-triumphant. Certainly the people rejoiced and cheered, welcoming him as one who came in the name of the Lord. But the manner of his entry was a profound theological and political statement. It was believed, from a prophecy in Zechariah, that the Messiah would appear on the Mount of Olives, which is from where Jesus came. It was Zechariah who also prophesied about the coming king, who would come with salvation, humble and riding on a donkey. No wonder people greeted Jesus the way they did. But Jesus was also making a very deliberate political statement to highlight the opposing values of God, and of the emperor who claimed to be God. The opposing values of the God of peace who demanded justice for all and who stood by the poor and under-privileged, against the values shown by the Roman hierarchy, with its God-emperor, of greed and oppression and brutality and who crucified those who stood against them. This was a deliberately engineered confrontation between Jesus and the Roman Empire. Jesus knew full well what the response of the authorities would be – both the Roman authorities, and the Jewish leaders who were desperate to keep the peace. 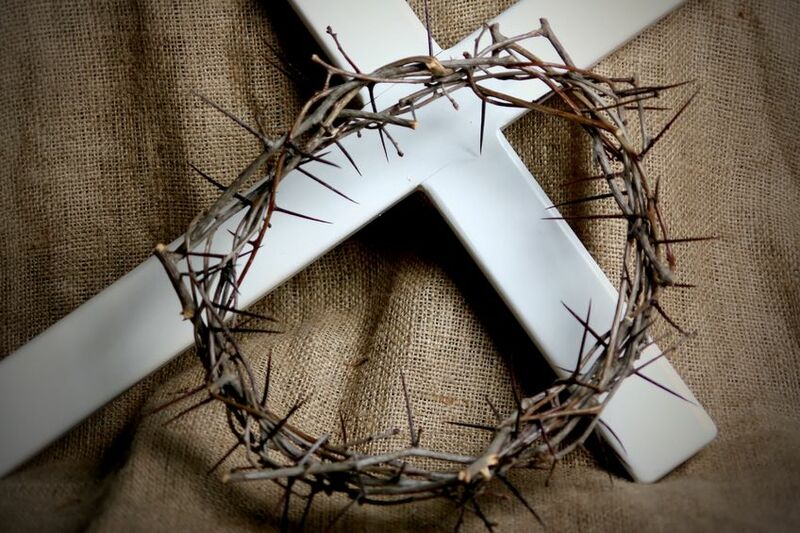 And far from triumphal in the sense that Pilate’s procession was triumphal, this procession ends not with a crown of gold but a crown of thorns. Which procession to go and watch? The crowds on that day were faced with a choice. And the question for all of us on this Palm Sunday, two thousand years later, is the same – which procession? With which procession do we want to identify? Do we join in the Roman display of power, of might, of wealth, of position in society – or Jesus’ display of humility, of peace, of justice, of true salvation from the ills of this world? The reality is that most of us, at some level, are caught up in both processions. There are times when we want to join the procession with the Jesus who comes riding on a donkey and challenges the established way of things, telling us that might is not right, that justice and equality for all is what he comes to bring. Times when we want to reject the values of secular culture, and follow the king who came to reign from an instrument of torture, knowing that ultimately we are called to follow the only one who can bring us salvation. But there are also times when we are drawn to the other procession, the one that says power is important, wealth is there to be gained, position in society is something to be sought after, that worldly ambition is fine. And we secretly hope that our Messiah is understanding, that he doesn’t mind. And even if, deep down, we know that that is not the procession that we want to be a part of, the reality for many Christians in the secular and affluent society of which we are a part is that we sometimes forget why Jesus came riding on a donkey, challenging the order of things. We want to follow Jesus – we may not always fully understand, just as the crowds who cheered him on that Palm Sunday didn’t fully understand. And yet sometimes we get caught up in the excitement of our everyday existence. Each year holy Week gives us the opportunity to join the procession of Jesus, as he leads us into the holy city, invites us to join with him as he shares the Last Supper and offers his body and blood, as he teaches us the new commandment of love by washing our feet, and as he is lifted up on a cross and draws us to him. May we walk with him, in the company of all he came to save, shouting in joy at his coming, and follow him as he rides in triumph towards the cross.